DIY is pretty much the way I go with most things because I am so cheap frugal. Of course, there are occasionally exceptions to this rule. I guess from the title you figured it out pretty easily, but if you didn’t, I'm talking about my nails. I am rough on my nails. I actually got the award in college for my sorority for always painting my nails. Seriously…was that what I was know for? It was not because I loved to paint them all the time, it was because I am so rough on my nails that they would start chipping and then I would start picking. Regular nail polish does not stay on my nails. Period! Two summers ago I got married and I had heard about the shellac/gel nails that people were doing. I never had put on fake nails before because I never had the money and I like keep my nails short because I have a pretty long nail bed…if I do say so myself!!! So, I took the chance (before the wedding day) and got my nails done using the gel. Now thinking about it it was probably not a good idea since it left me with no time to fix them if I hated them. Well, the chance paid off and I fell in love. The french manicure gel lasted for three weeks after my wedding. Getting my nails done bi-weekly is my little splurge on myself. In the beginning I didn’t tell my husband that I was doing it because it was totally against my frugal side and I would tell him I had an “appointment”. Well, he isn’t an idiot and figured out where I was going after a few "appointments". It is over a year later and I am still getting them done regularly. They lasted through my power washing, planting, painting the deck and the garage, plus all of my home projects. For $30 each time I go, I have to say it is totally worth it. I always get a new color each time I go and try to shy away from the normal neutrals. My manicurist always giggles when I pick out a new color each appointment. I am not that bold with colors in my wardrobe, so this is my way of expressing myself. My salon also gives you your own kits that they keep for you there. This way I get to have my own tools each time and I am not worried about all those fungal diseases I hear about people getting. OPI just introduced a bunch of new colors that I adore. There just aren’t enough weeks in each season to wear them all. I tend to get the OPI colors more than the other brands that my salon has. I have noticed they stay on longer and come off a lot easier as well. Some of my favorite colors for this season are Ink (navy blue), Lincoln Park after dark (ox bloodish), Vampsterdam (plummy), Koyoto Pearl (white), You Don’t’ Know Jacques! (grayeige) and Brisbane Bronze (copper). 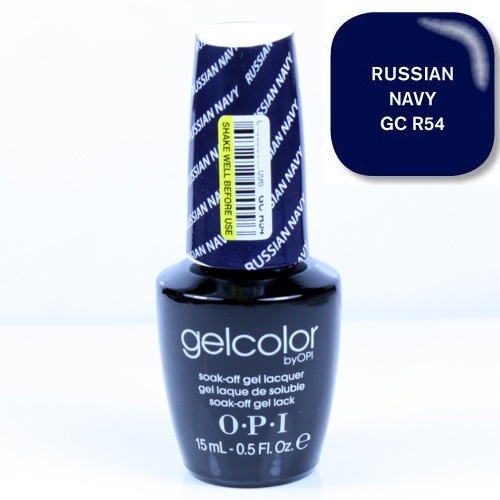 I am currently wearing the Russian Navy color in the picture above. I had just finished spakling, sanding, and painting a wall when I took these pictures. The gel can handle anything. 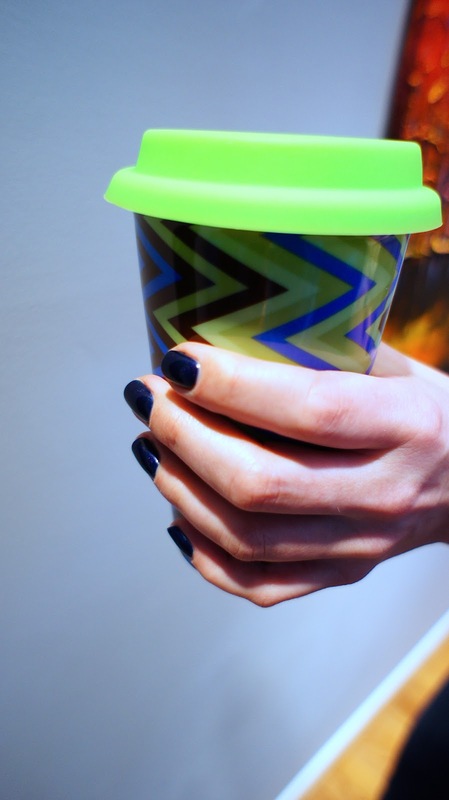 Log onto OPI's website and you can play around with the colors with an interactive hand. 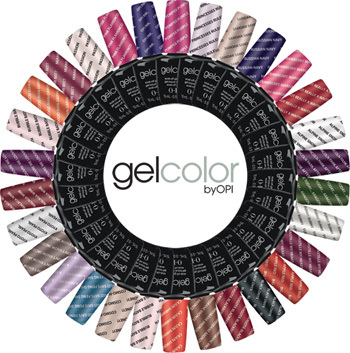 Remember, the colors are not always offered in gel so make sure you choose the gel colors link. Word of warning don’t peel it off yourself! I did this once and boy was it a bad idea. If you think about it, when you peel off those layers, you are also peeling off a layer of your nail. I swear my nails ached for the next few days until I got my nails done again. If you are going to take the stuff off yourself, do it correctly. I simply googled how to take it off, but you will need the proper tools to get the job done correctly. In the salon the whole process takes about an hour if you have to get the last color taken off. That process can take some time. You have to soak a small cotton ball in acetone nail polish remover and then wrap the nails individually in foil. I have noticed that some brands come off easier than others. I make sure I always tip well because sometimes my nail person has to do a lot of elbow work to get the stuff off. An added bonus to my nails salon is that they always do the paraffin wax for every manicure and pedicure. I know some people are going to think $30 is expensive to do twice a month, but I know that location means a lot when it comes to cost. I live in an expensive area in Northern VA outside of DC. Things here seem to be a bit more expensive than elsewhere in the country. When I lived in NY and NJ, getting my nails done was so much cheaper. I did some research and the gel/shellac was about $5 cheaper in those locations. If you really can't or don't want to go to the salon, there are alternatives. Alternative One. Gel polish at home kits for this stuff have also been popping up everywhere. Getting started it probably would cost you about $75, but once you have all the stuff it could be worth it. Alternative Two. 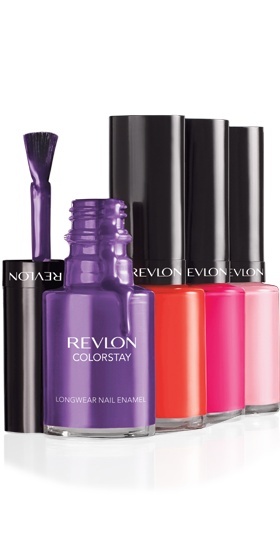 I recently just read an add for Revlon about their no UV gel at home manicure. Apparently the UV is no longer needed. It advertised that you can get the same results as the UV gel mani when using its base and top coats with the color coat. The price to start out is about $20 for the base and top coat. Each color goes for about $5-7 each. Again, I haven’t tried it, but could be worth the try. Spending a little money and some time on yourself is worth it. I treat myself to getting my nails done and I think it is money well spent. You don't have to get your nails done, but make sure you do something that makes you feel good.